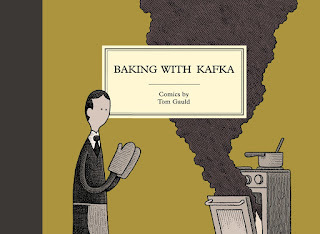 This is a collection of strips of one of our favorite cartoonists, Tom Gauld. 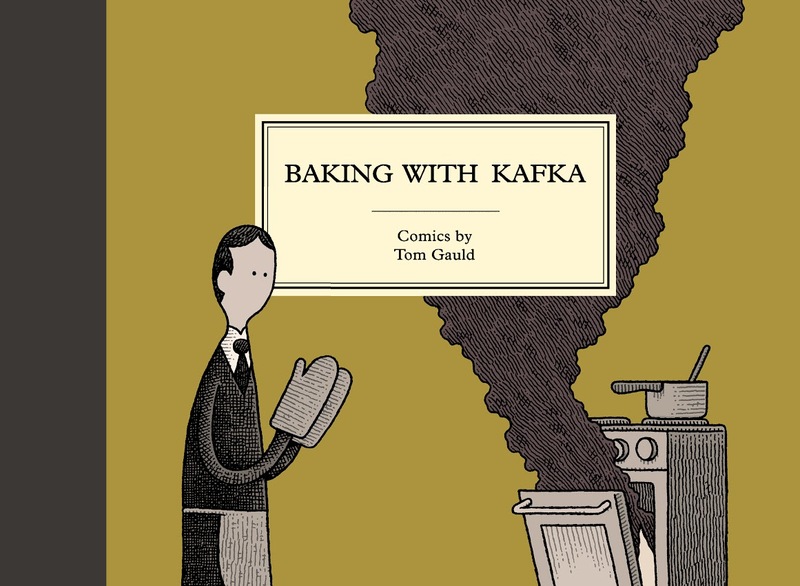 This collection is filled with his wit making fun of both classic literature and modern times. An example would be strip of a choose your own adventure of an updated Hamlet for the big screen or errors made by inexperienced murder-mystery novelists. Hamlet played by an all robot cast? Way too may butlers? These are his jokes that'll make you put a grin on your face. His playful simply looking comics masking sometimes darker designs on writing or classic literature are perfection for those who want to laugh of books they might have read in high school or college. His style makes you think of stories of old, peering back into your past and pulls you forward by making fun of what's changed. What happens if Charles Dickens were alive today? Not very much, but he'll go over the possible celebrity judge hosting job. Or he might make fun of getting you to read War and Peace if it were clickbait. It's a thick collection of short comics to go with any collection of classics. 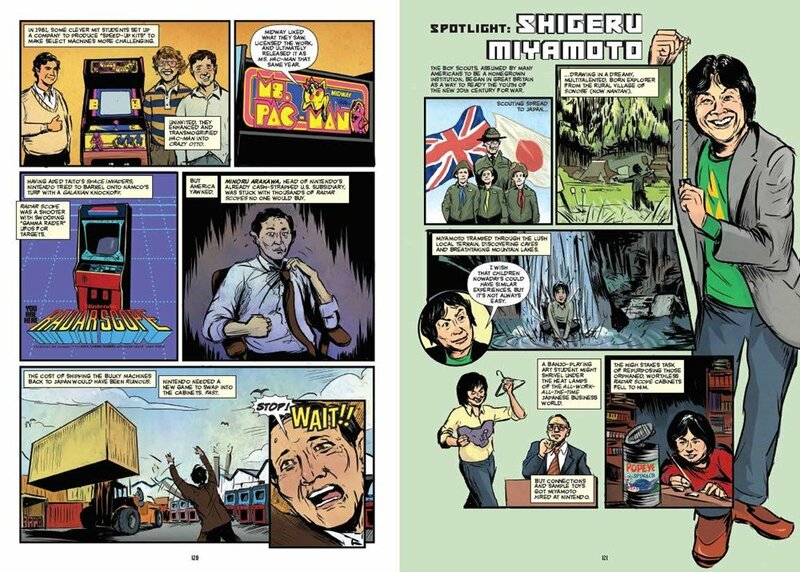 What a huge detailed background on gaming and in comic form no less. 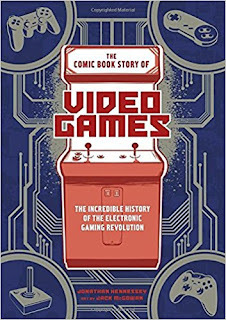 We've read quite a few books on the history of gaming and a few docs, but thise covers as much history as it can with a huge comic going way, way back on all things video game. Jonathan Hennessey takes us back all the way back to the 19th century to modern gaming. He doesn't just cover the first video game or arcade machines, but the electronics in them for them to get made. We even wiz around the world's fair ages ago to hear about how coin redemption got its start. 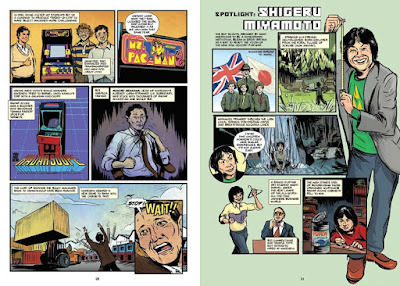 With comic book art of Jack McGowan looking like something pulled from comics made in the 60's with video game characters making cameos and cheeky jokes it's a thorough guide to gaming and the companies behind them. And almost all the companies in gaming are jerks. Or at least were at some point in this book. That's at least what you'll learn throughout the book with double crosses and people even fighting over the title of making the first real video game. Even Nintendo wasn't that nice, but without them screwing up we wouldn't have PlayStation. A page or two are devoted to some of the big games, but if you want a deeper history there are books just on those subjects and their success. 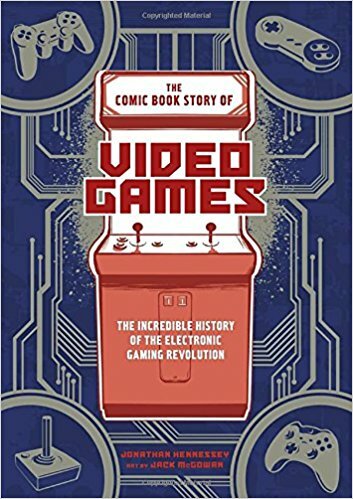 It does cover Pokemon and Minecraft, but a majority of the book is set well before those titans in gaming even existed. It's weird, we forgot WB use to own Atari or that the billion dollar industry crashed from too many games at the market. How about that games were considered for kids or college students and not really anyone else until...really the early 2000's. If you want a way into understanding how video game history really wasn't that nice, at least in the business sense, take a look.